NOTICES FILINGS TODAY FOR APRIL CONTRACT MONTH: 11 NOTICE(S) FOR 1100 OZ. Over at the comex, the amount standing for the silver metal again rose in similar fashion to what we witnessed last month and also in April. It is up for the 9th consecutive trading day. We certainly have a determined entity trying to get its hands on whatever silver is available. In silver, the total open interest FELL BY ONLY 28 contract(s) DOWN to 205,251 DESPITE THE NASTY FALL IN PRICE OF SILVER THAT TOOK PLACE WITH YESTERDAY’S TRADING (DOWN 28 CENT(S). In ounces, the OI is still represented by just OVER 1 BILLION oz i.e. 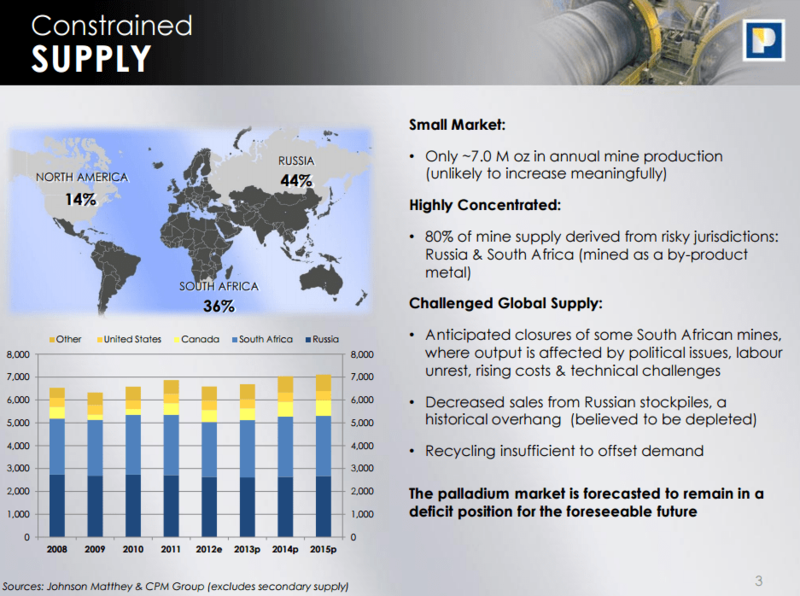 1.0260 BILLION TO BE EXACT or 147% of annual global silver production (ex Russia & ex China). In gold, the total comex gold FELL BY ANOTHER 3,153 contracts WITH THE FALL GOLD TOOK ($2.40 with YESTERDAY’S TRADING). The total gold OI stands at 473,929 contracts. we had 11 notice(s) filed upon for 1100 oz of gold. North Korea releases a USA student following the arrival of Dennis Rodman. There is one more American needs to be released. This is going to be expensive: In order to bypass the embargo, Qatar will pay 8 million dollars to airlift 4,000 cows. The cows will fly business class instead of economy. iii)Qatar receives much of its shipment of dollars from the UAE and now that it blocked. QATAR is running out of dollars! ii)Shale production will hit its all time high in July and then rise from there! i)This is not good news for the state of Illinois as unpaid bills continue to mount. Without a shadow of a doubt they will be downgraded in July to junk which will cause a massive increase of payments by the state to cover default provisions with respect to bond covenants with the bond purchases by individuals and corporations on prior deals. The deals stipulated extra payments if the state is downgraded to junk. The total gold comex open interest FELL BY 3,153 CONTRACTS DOWN to an OI level of 473,929 WITH THE FALL IN THE PRICE OF GOLD ($2.40 with YESTERDAY’S trading). AGAIN, the bankers were expecting more gold leaves to fall from the gold tree and as such they could not cover as much as they wanted. The non active July contract LOST 387 contracts to stand at 1,965 contracts. The next big active month is August and here the OI LOST 1,314 contracts DOWN to 348,375, as the bankers trying to keep this month down to manageable size. And now for the wild silver comex results. Total silver OI FELL BY ONLY 28 contracts FROM 205,028 UP TO 205,000 DESPITE YESTERDAY’S BIG 28 CENT LOSS. IT SURE LOOKS LIKE OUR BANKERS ARE DESPERATELY TRYING TO COVER THEIR SHORTS IN SILVER BUT TO NO AVAIL. WE ALSO NO DOUBT HAVE CONSIDERABLE EVIDENCE OF SOME DELTA HEDGING BY THE BANKERS TRYING TO OFFSET THAT HUGE SHORT POSITION THEY HAVE BEEN BURGEONING OVER THE YEARS. We are in the NON active delivery month is JUNE Here the open interest SOMEHOW LOST ONLY 23 contract(s) FALLING TO 13 contracts. We had 29 notices served upon yesterday so we AGAIN GAINED 6 CONTRACTS OR AN ADDITIONAL 30,000 OZ OF SILVER WILL STAND FOR DELIVERY IN THIS NON ACTIVE DELIVERY MONTH OF JUNE. IT SEEMS WE ARE CONTINUING WHERE WE LEFT OFF LAST MONTH IN SILVER AS INVESTORS ARE WILLING TO FORGO THE FIAT PROFIT JUST TO SECURE PHYSICAL SILVER METAL. THIS IS THE 9TH CONSECUTIVE DAY THAT THE AMOUNT OF SILVER STANDING ADVANCED FROM FIRST DAY NOTICE. The next big active month will be July and here the OI LOST 8191 contracts DOWN to 108,156 as we start to wind down before first day notice Friday, June 30. July will be interesting to watch in silver as we witness fewer players pitching for EFP contracts than with gold. The month of August, a non active month picked up 1 contracts to stand at 38. The next big active delivery month for silver will be September and here the OI already jumped by another 8205 contracts up to 56,313. At the conclusion of June, the final standing for physical silver was 3,080,000 oz and we have already surpassed that number this year (3,945,000 oz). Today, 0 notice(s) were issued from JPMorgan dealer account and 2 notices were issued from their client or customer account. The total of all issuance by all participants equates to 11 contract(s) of which 0 notices were stopped (received) by j.P. Morgan dealer and 7 notice(s) was (were) stopped/ Received) by j.P.Morgan customer account. To calculate the initial total number of gold ounces standing for the JUNE. contract month, we take the total number of notices filed so far for the month (2191) x 100 oz or 218,000 oz, to which we add the difference between the open interest for the front month of JUNE (1621 contracts) minus the number of notices served upon today (11) x 100 oz per contract equals 379,100 oz, the number of ounces standing in this active month of JUNE. Thus the initial standings for silver for the JUNE contract month: 816 (notices served so far)x 5000 oz + OI for front month of JUNE. (13 ) -number of notices served upon today (4)x 5000 oz equals 4,125,000 oz of silver standing for the JUNE contract month. We gained 6 contracts or an additional 30,000 oz will stand for delivery. WE ALSO HAD 0 EFP CONTRACTS THAT WERE ISSUED AS THE LONGS REFUSED A FIAT BONUS: THEY WANT THEIR PHYSICAL SILVER. YESTERDAY’S ESTIMATED VOLUME OF 86349 CONTRACTS EQUATES TO 600 MILLION OZ OF SILVER OR 86% OF ANNUAL GLOBAL PRODUCTION OF SILVER EX CHINA EX RUSSIA). IN OUR HEARINGS THE COMMISSIONERS STRESSED THAT THE OPEN INTEREST SHOULD BE AROUND 3% OF THE MARKET. 1. Central Fund of Canada: traded at Negative 6.9 percent to NAV usa funds and Negative 7.0% to NAV for Cdn funds!!!! Note: Sprott silver trust back into POSITIVE territory at -?? /Sprott physical gold trust is back into NEGATIVE/ territory at -0.58%/Central fund of Canada’s is still in jail but being rescued by Sprott. *LAST 113 TRADING DAYS: A NET 47.30 TONNES HAVE NOW BEEN ADDED INTO GLD INVENTORY. *FROM FEB 1/2017: A NET 60.64 TONNES HAVE BEEN ADDED. 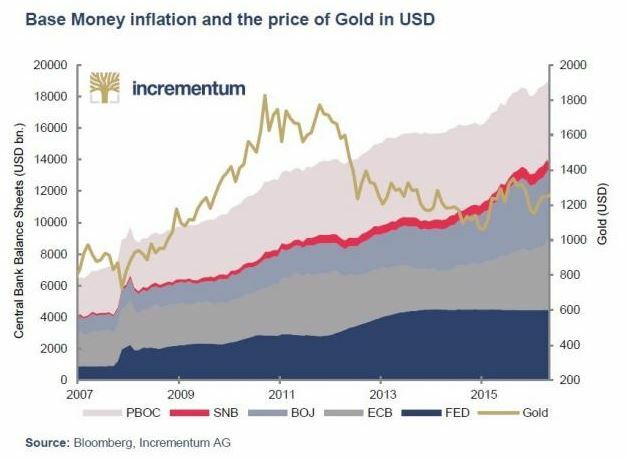 The 11th edition of the annual “In Gold we Trust” is another must read synopsis of the fundamentals of the gold market, replete with excellent charts by our friend Ronald-Peter Stoeferle and his colleague Mark Valek of Incrementum AG. – Bitcoin: Digital gold or fool’s gold? – Is China manipulating the gold market? Three former currency traders in Britain who are accused by U.S. prosecutors of conspiring to manipulate markets have reached an agreement to surrender this summer to American officials and appear in federal court to face the charges. JPMorgan Chase & Co.’s Richard Usher, Citigroup Inc.’s Rohan Ramchandani and Barclays Plc’s Chris Ashton have agreed to be arraigned in a Manhattan court in July, according to a Justice Department letter filed Monday. The document follows months of negotiations with U.S. prosecutors over the terms of their surrender, including permission for the men to return to the U.K. while they await trial. The trio was charged by the U.S. in January with conspiring to rig foreign-exchange markets, using an electronic chat room known as “The Cartel” to share information. The indictment was the culmination of a global investigation into currency-market manipulation that saw seven banks pay about $10 billion in fines to authorities. U.K. lawyers for Usher and Ashton didn’t immediately respond to requests for comment. Usher was previously JPMorgan’s London chief currency dealer, Ashton was global FX head of voice spot trading at Barclays, and Ramchandani was head of G-10 spot currency trading at Citigroup. A trial would be closely watched by the British finance industry after the SFO ended its own foreign-exchange investigation in March 2016, citing insufficient evidence for a “realistic” prospect of conviction. The SFO has clashed with the Justice Department in the past over the pursuit of British bankers — most notably when the U.S. started filing charges related to Libor manipulation — but its decision not to pursue the currency case has left the door open for the Americans. The Justice Department has agreed on bail conditions for the three that will be presented at their arraignment, ordered by U.S. District Judge Richard Berman on July 17. Bail terms are subject to court approval but U.S. judges generally follow the government’s lead on such decisions. The case is U.S. v. Usher, 17-cr-00019, U.S. District Court, Southern District of New York (Manhattan). 3b Japan 10 year bond yield: RISES TO +.064%/ !!!! (Japan buying 100% of bond issuance)/Japanese yen vs usa cross now at 110.06/ THIS IS TROUBLESOME AS BANK OF JAPAN IS RUNNING OUT OF BONDS TO BUY./JAPAN 10 YR YIELD FINALLY IN THE POSITIVE/BANK OF JAPAN LOSING CONTROL OF THEIR YIELD CURVE AS THEY PURCHASE ALL BONDS TO GET TO ZERO RATE!! 3j Greek 10 year bond yield FALLS to : 5.87??? 30 SNB (Swiss National Bank) still intervening again in the markets driving down the SF. It is not working: USA/SF this morning 0.9683 as the Swiss Franc is still rising against most currencies. Euro vs SF is 1.0856 well above the floor set by the Swiss Finance Minister. Thomas Jordan, chief of the Swiss National Bank continues to purchase euros trying to lower value of the Swiss Franc. As the Fed begins its two-day meeting, global stocks have recovered their footing and European shares rise, led by a bounce in tech stocks as last Friday’s global selloff that started in the sector shows signs of abating. Asian stocks and U.S. futures gain as investors turn their attention to today’s Jeff Sessions testimony as well as tomorrow’s barrage of macro data including Yellen, CPI and retail sales. It has been a risk-on session globally as the tech rout ended and technology stocks rebound from recent weakness and amid a lack of negative fundamental catalysts. European equity markets open higher with technology sector leading, travel stocks also well supported. Bund futures pushed lower, with supply pressure also coming from 10y DSL auction. Gilts sell-off after higher than expected U.K. CPI, short sterling curve bear steepens aggressively. USD broadly weakens across G-10 except for USD/JPY which is supported by lift in EUR/JPY and general risk sentiment. SEK spikes higher after strong domestic CPI data, NOK rallies in tandem after bullish domestic growth survey. Tomorrow, the Fed is widely expected to raise its benchmark interest rate in a decision scheduled for Wednesday and may also provide more details on its plans to shrink $4.5 trillion dollars of assets it amassed to nurse the economic recovery. The gap between benchmark U.S and European bond yields hit its widest in a month as the Fed meeting also shone a light on the slow pace of change in European Central Bank policy. 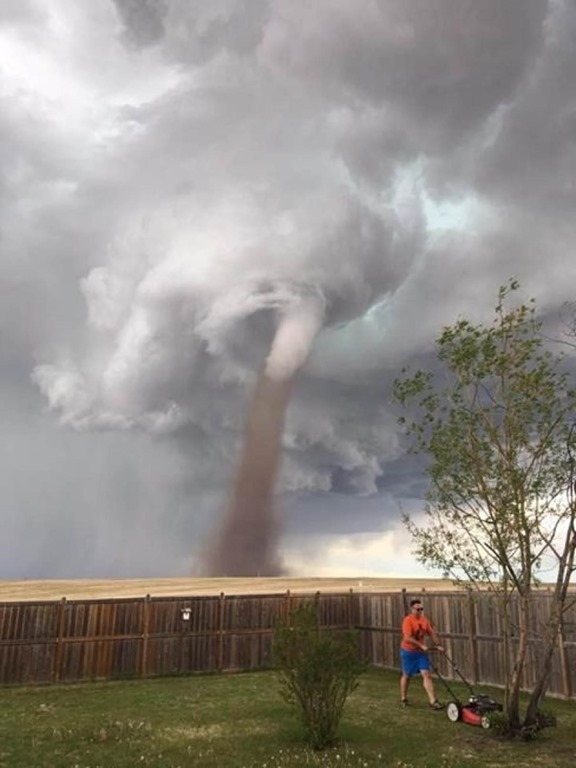 “If the Fed is tightening policy and embarking on a gradual normalization path, whether it is the short-term policy rates or the balance sheet, it wants the market to believe it and to adjust to it,” said Frederik Ducrozet, an economist at Pictet Wealth Management. “It is not just about complacency and the creation of financial bubbles…but also about its own credibility.” The Bank of Japan and the Bank of England also meet this week, although no major policy changes are expected. According to a Retuers poll, a small majority of traders in China’s financial markets think its central bank will likely raise short-term interest rates again this week if the U.S. Federal Reserve hikes its key policy rate. But the reaction to this in bond markets has been concerning. China’s two-year yields have in the last few sessions risen above its 10-year yields- a trend that has only happened in a few instances over the past decade and suggests investors have worries over the long-term health of the world’s second biggest economy. This morning, almost every industry group in the Stoxx Europe 100 Index traded in the green, with the abovementioned tech bounce meanings technology shares are poised for the largest gain in more than a month. The Stoxx Europe 600 Index climbed 0.6 percent as of 11:17 a.m. in London, after dropping 1 percent on Monday. Tech shares rose 1.3 percent. Futures on the S&P 500 Index rose 0.2 percent. The Nasdaq 100 fell 0.6 percent on Monday, adding to its 2.4 percent rout on Friday. Apple fell 2.4 percent while Microsoft Corp. slid 0.8 percent. In Asia, MSCI’s broadest index of Asia-Pacific shares outside Japan rose 0.5 percent, recouping about half of the previous session’s losses. The MSCI Asia Pacific Information Technology index steadied, after sliding 1.4 percent on Monday. Australian equities rallied 1.7 percent, the most since November, as bank stocks jumped after investors returned from a holiday. South Korea’s Kospi added 0.7 percent, with Samsung Electronics Co. little changed after leading declines in Asia during Monday’s rout. Hong Kong’s Hang Seng rose 0.6 percent as Tencent Holdings Ltd., which tumbled 2.5 percent in the previous session, rebounded 0.7 percent. Some analysts had predicted Asian tech shares would not see as intense a sell-off as their U.S. peers as their valuations were less stretched. “Comparatively, valuations for the IT sector in the Asia Pacific region are less expensive compared to the U.S., which may be why we’re not seeing the situation further aggravate for a second session,” said Jingyi Pan, market strategist at IG in Singapore. Sterling headed for the first increase since the election that’s left U.K. Prime Minister May battling to shore up her position. She’ll meet Northern Ireland’s Democratic Unionists today, seeking the votes she needs to be able to pass any legislation. The pound strengthened 0.4 percent to $1.2711 after sliding 0.7 percent on Monday. The Canadian dollar hit a two-month high after a policymaker said the central bank would assess if it needs to keep rates at near-record lows as the economy grows. “It feels like a long time since markets have been treated to unscheduled hints of tightening, and this was quite apparent when you saw the positive reaction of CAD crosses overnight,” Matt Simpson, senior market analyst at ThinkMarkets in Melbourne, wrote in a note. Elsewhere, the euro fluctuated before gaining less than 0.1 percent to $1.1210. The Bloomberg Dollar Spot Index fell by 0.1 percent. The yen fell 0.2 percent to 110.12 per dollar, after Monday’s 0.3 percent gain. The yield on 10-year Treasuries was little changed; before today it climbed for four straight sessions. German benchmark yields rose two basis points, French equivalents increased three basis points and U.K. yields added five basis points. WTI, Brent were supported by positive risk sentiment globally. Brent trades near $48.50/bbl, WTI above $46 with industry-funded API data on U.S. stockpiles due later. “The market’s just waiting for the API data,” says Nitesh Shah, commodities strategist at ETF Securities. “There’s some expectations for a bit of a correction from last week’s disappointment.” API data due 4:30pm ET, crude inventories forecast to decline 2.25m bbl in more definitive EIA data Wednesday. Weaker dollar, positive equities supported prices earlier Tuesday. Tomorrow the Fed is expected to raise its benchmark rate for the second time this year on Wednesday. Since that’s widely expected, the more market-sensitive elements of the meeting will relate to signals on future policy — either the path for rates or plans to cut the $4.5 trillion balance sheet. Central banks in Japan, Switzerland and Britain are also scheduled to weigh in with policy decisions this week. German Investors Confidence in Economy Unexpectedly Declines: German Jun. ZEW Expectations: 18.6 vs 21.7 est; Current Situation 88.0 vs 85.0 est. Asian stocks shrugged off the negative lead from US where the tech sector once again underperformed and posted its worst 2-day period YTD. Nonetheless, the tone in Asia improved throughout the session with ASX 200 (+1.2%) underpinned by financials after gains in the big 4 banks, while Nikkei 225 (Unch.) recovered from early losses alongside a rebound in USD/JPY. Elsewhere, Shanghai Comp. (+0.4%) was indecisive with early weakness observed alongside speculation the PBoC may raise rates in response to a US Fed hike and after another lacklustre liquidity operation, although Chinese stocks then recovered to conform to the overall improvement of risk sentiment in the region. 10yr JGBs were lower amid an improvement in risk sentiment throughout the session, while today’s 20yr auction later also failed to spur demand with the results mixed in which the accepted prices declined from prior. PBoC injected CNY 10bIn in 7-day reverse repos and CNY 40bIn in 28-day reverse repos. European bourses have seen mixed gains with the Eurostoxx 50 roughly halfway to recouping yesterday’s losses led by the recovering the tech sector. Notable movers of the morning is Capita with shares surging as much as 15% as the company pins hopes on improving profitability and secure more contract wins in the second half of the year. In fixed income markets, core European bond yields have seen a recovery this morning with the German 10yr up 1.2bps, while outperformance has been observed in peripheral markets led by Spain and Italy. In commodities, it has been another mixed session where on the upside we see some modest gains in Oil price this morning, which as yet looks to be corrective, though value levels in WTI seem to have drawn in buyers ahead of USD45.00. Brent is keeping its USD2.00-2.50 differential and trades in the mid USD48.00’s, but where `value’ currently stands is arbitrary to a larger degree, given the weakness has been down to the rise in US shale production which translates into greater self-sufficiency. Elsewhere, metals prices are lower, but all inside familiar territory to point to sideways price action more than anything else. Copper has dipped back towards USD2.60 and just under, but the moves above this level were somewhat of a surprise in any case. On the day, Zinc is the underperformer at down over 1.0%. Gold is still better supported than Silver as the latter has now relinquished the USD17 handle. In currencies, the key USD rates have been in consolidation mode this morning, with USD/JPY edging back above 110.00 but with little conviction. The FOMC meeting ahead is now in focus, and while traders are not phased over the 25bp hike largely priced in, there is a sense that the market may have gotten a little overly dovish on the accompanying statement and rhetoric, but on the balance on the data, this has been justified to some degree. This morning’s data focus was on UK inflation, but despite the welcome break from politics, inflation was only slightly higher than expected (worth noting during a time of GBP appreciation), but not by enough to trouble the BoE who are set to keep policy measures as they are, and more so given fresh political uncertainty. At the start of Europe, Wesaw Cable retesting the 1.2610-40 base, and having survived tests in NY, Asia and early London, higher levels now look set to be tested at 1.2740-50 initially. EUR/GBP is also giving way a little, with sellers benefitting from the more relaxed tone in EUR/USD. The CAD continues to grind higher in the aftermath of the comments from the BoC’s Wilkins, who says it is time to assess the current stimulus levels. We cannot help but point out that the Q1 GDP data was healthy, as was Friday’s jobs report, but clearly the market required some reassurances from official quarters, so USD/CAD is now probing the next support zone into 1.3250-1.3150. Looking at today’s calendar, we get the May NFIB small business optimism number which printed at 105.2, unchanged from last month, and missing expectations 105.2, while the May PPI report is due later in the afternoon (2.3% YoY vs. 2.5% previous). Global equities were on the soft side yesterday. Over in the US the S&P 500 saw losses of -0.1% while the NASDAQ extended Friday’s declines by falling another -0.5%. However both markets were off the lows of the session. 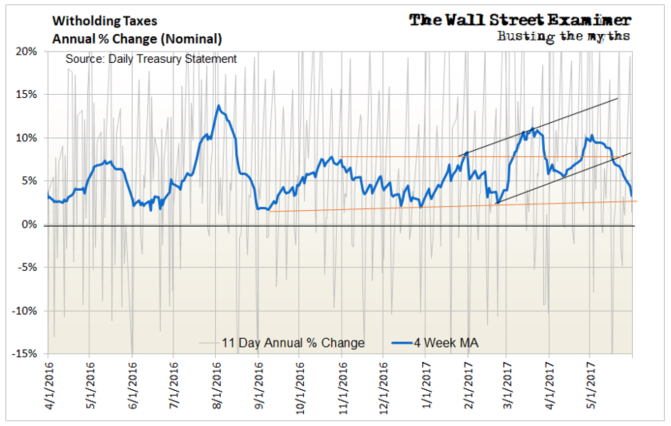 The very recent tech sell-off was the talk of the town yesterday as opinion was divided as to whether this was money leaving equities or simply a rotation back into more defensive stocks. Markets in Asia have stabilised overnight with the Nikkei -0.05% but with the Hang Seng +0.5% and the Shanghai Comp +0.3%. In Europe the STOXX fell by -1.0%, with the DAX and FTSE also dropping by -1.0% and -0.2% respectively. Credit markets however seemed immune to these risk-off moves. In Europe iTraxx Main and Crossover tightened by -1bp and -2bps respectively. In the US CDX IG was flat on the day while HY tightened by -2bp. Turning to the government bond market, German and US 10Y yields both fell by -1bp, while their respective 2Y points were unchanged on the day – hence a small flattening. Elsewhere in Europe Gilts (2Y: -1bp; 10Y: -4bps) and French OATs (2Y: -3bp; 10Y: -5bp) saw yields drop across maturities, while Italian BTPs saw all yields beyond the 2Y point drop (10Y: -7bp). The strong performance of President Macron’s party in the first round of the French legislative elections helping as did the relatively weak performance of the 5SM in regional elections in Italy over the weekend. Turning to FX markets now and Sterling extended Friday’s losses by dropping another -0.7% yesterday (flat overnight though). On the whole the election shock last week has compounded political uncertainty in the UK and has thrown up a number of new questions clouding the outlook for the currency. Our FX strategists published a note yesterday arguing that developments over the weekend following the election have provided sufficient evidence for a muddlethrough Brexit strategy (as previously outlined as their baseline). They highlight that it is premature for the market to start pricing the soft Brexit narrative given that no political party or grouping has an incentive to change the status quo, which would likely lead to a period of acute political paralysis in coming months. Hence the risk of a disruptive Brexit is rising – as timelines are fixed, the more decisions are delayed, the greater the risk that there is no time left to negotiate something non-disruptive. All of the above increase downside risks to an already gloomy outlook for the UK economy, leaving the BoE on hold as the Fed and ECB tighten and push interest rate differentials further against the pound. Taking these factors into consideration, the outlook for Sterling is particularly negative and the team reiterates their bearish view. Away from Sterling, the US dollar and the Euro were both broadly flat on the day. Over in the commodity space, oil saw gains of +0.4% on the day while metals were broadly higher. Gold however failed to recoup any of its past week’s losses and remained essentially unchanged. Going back to all things Brexit/UK related, the FT reported over the weekend that today marks the day that Brussels opines on how it will police the $850bn a day OTC Euro-denominated derivatives market that currently clears in London. This may be an early marker for how financial markets, banks and Brexit will coincide so worth watching. Also worth noting is that PM Theresa May met her influential 1922 backbench committee last night and it’s been reported that she took the blame for the party’s disappointing performance last week. On a related theme, one of the more amusing stories yesterday was news (Reuters/ BBC) that the UK’s Queen’s speech (where the government set out the next year’s legislative agenda) scheduled for next Monday may be delayed a few days as the Conservative Party’s ‘understanding’ with the DUP Party has not been finalised yet. Although it’s expected to be agreed very soon, the Queen’s speech apparently has to be written on goat’s skin parchment paper, which takes a few days to dry. The latest ECB CSPP numbers were out yesterday. They bought €1.421bn last week which is €355mn/day (assuming 4 days given the European holiday last Monday). The average daily run rate since CSPP started is €367mn. In relative terms, the CSPP/PSPP ratio dropped to 11.9% last week (PSPP purchases were €11.94bn) which is still mildly above the 11.6% average ratio before QE was trimmed. Since the taper it’s been 13.4% on average indicating less tapering of corporates. There’s still quite a lot of noise week to week to be a 100% confidence that corporates have been tapered less but the evidence still points in that direction. Yesterday was a very quiet day in terms of data. The only data point of note out of Europe was the Bank of France business sentiment for May which was in line with consensus (105 vs. 104 previous). There was no real data to note out of the US. Today is a bit busier in terms of data. We kick off in the UK where we are due to receive the May inflation numbers (CPI +0.2% mom expected; RPI +0.3% mom expected; PPI +0.1% mom expected). Elsewhere in Europe we will also get the ZEW survey in Germany where survey numbers are expected to tick up marginally (Current situation: 85.0 expected vs. 83.9 previous; Expectations: 21.7 expected vs. 20.6 previous). Over in the US we get the May NFIB small business optimism number which is expected to hold steady (104.5 expected) while the May PPI report is due later in the afternoon (2.3% YoY vs. 2.5% previous). Rex Tillerson announced on Tuesday that North Korea has released Otto Warmbier, an American who was serving a 15 year jail sentence somewhere in the bowels of the hermit kingdom. The announcement came just hours after Dennis Rodman arrived in North Korea for an unexpected trip, as reported last night. Warmbier, a University of Virginia student from Cincinnati, was sentenced in March after a televised tearful public confession to trying to steal a propaganda banner. First photo: Dennis Rodman arrives in North Korea for the 5th time. He wouldn’t tell me if he’s spoken to Trump or anyone from the US gov’t. What he really meant is that Dennis Rodman’s unique style of “diplomacy” appears to have achieved what neither Tillerson himself, nor the previous administration had been capable of. Tillerson’s statement gave no other details and made no mention of Rodman’s visit. But it noted that the State Department is continuing “to have discussions” with North Korea about the release of other American citizens who are jailed there. The statement said the department would have no further comment on Warmbier, citing privacy concerns. While Rodman had said he did not plan to raise the fate of the Americans while he was in North Korea, the timing is oddly coincidental and is likely a gesture of good will by Kim toward one of his favorite basketball players. To be sure, this is not the first release obtained from the Kim regime: in November 2014, U.S. spy chief James Clapper went to Pyongyang to bring home Matthew Miller, who had ripped up his visa when entering the country and was serving a six-year sentence on an espionage charge, and Korean-American missionary Kenneth Bae, who had been sentenced to 15 years for alleged anti-government activities. Jeffrey Fowle, another U.S. tourist from Ohio detained for six months at about the same time as Miller, was released just before that and sent home on a U.S. government plane. Fowle left a Bible in a local club hoping a North Korean would find it, which is considered a criminal offense in North Korea. But in this case, all prop go to Rodman, who as we concluded last night, “if he manages to persuade Kim to end his nuclear program – something no other US politicians has achieved – it will mark quite a dramatic departure in style and substance to US foreign policy.” He still has a few days left on his trip…. Demonstrating China’s creeping geopolitical dominance, on Monday night Panama’s President Juan Carlos Varela announced that Panama has established diplomatic ties with China while breaking relations with Taiwan in a major victory for Beijing, which continues to lure away the dwindling number of countries that have formal relations with the self-ruled island. President Varela said that the strategically important nation was upgrading its commercial ties with China and establishing full diplomatic with the country which is the second-biggest user of the Panama Canal and has played a key role in sectors from banking to telecommunications. Varela called Taiwan a great friend and said he hoped for a constructive reaction. Panama’s government said in a statement that it recognized there was only one China, with Taiwan belonging to the Asian giant, and that it was severing ties with Taipei. “The Panamanian government is today breaking its ‘diplomatic ties’ with Taiwan, and pledges to end all relations or official contact with Taiwan,” the statement said. “I’m convinced that this is the correct path for our country,” Varela said. In response, Taiwan’s government said it was sorry and angry over Panama’s decision, and said it would not compete with China in what it described as a “diplomatic money game“. “Our government expresses serious objections and strong condemnation in response to China enticing Panama to cut ties with us, confining our international space and offending the people of Taiwan,” David Lee, Taiwan’s minister of foreign affairs, told a briefing in Taipei quoted by Reuters. before a meeting at the Presidential Palace in Panama City, Panama June 27, 2016. As Bloomberg adds, the diplomatic U-turn reduces to 20 the number of nations that recognize the government in Taipei, rather than Beijing, as representing China. The Communist Party considers Taiwan a province and has criticized President Tsai Ing-wen’s refusal to accept that both sides belong to “One China,” its precondition for ties. Taiwan Presidential office spokesman Alex Huang said earlier that he couldn’t comment before any announcement by Panama. In December, the West African island nation of Sao Tome and Principe cut diplomatic relations with Taiwan. Beijing formally reestablished relations with Gambia last March – another former Taiwanese partner in West Africa – and has stepped up communications with others, such as the Vatican. The establishment of links with Panama is a coup for China, which has been showering largesse on countries throughout Central America in recent years in an attempt to get them to break ties with Taiwan. As recently as December, Panama’s deputy foreign minister had said he did not expect any change in Panama’s relations with Taiwan or China. Panama is one of Taiwan’s oldest friends, but some diplomats in Beijing had speculated that the Central American country could become the next nation to break ties. China is deeply suspicious of Taiwan President Tsai Ing-wen, who it thinks wants to push for the island’s formal independence, although she says she wants to maintain peace with Beijing. China and Taiwan have tried to poach each other’s allies over the years, often dangling generous aid packages in front of developing nations, although Taipei struggles to compete with an increasingly powerful China. In Beijing, Panama’s foreign minister de Saint Malo said President Varela had expressed 10 years ago his interest in establishing ties with China, and that she hoped the move would lead to trade, investment and tourism opportunities, especially for “exporting more goods from Panama to China”. Monday’s diplomatic move could also raise questions about the future of a Chinese-backed project to build another Central American waterway to rival the Panama Canal in Nicaragua. Earmarked at a cost of $50 billion, the Nicaraguan scheme was met with widespread incredulity when it was announced in 2013, and critics have raised questions about its feasibility. In response to the announcement, Taiwan said it would immediately end cooperation with and assistance for Panama, and evacuate embassy and technical personnel “in order to safeguard our national sovereignty and dignity”, Lee said. Panama is the second country to switch its recognition to Beijing since Tsai took office last year, following a similar move by Sao Tome and Principe in December, trimming to 20 the number of countries that formally recognize Taiwan. Taiwan had as many as 30 diplomatic allies in the mid-1990s, and its remaining formal ties are with mostly smaller and poorer nations in Latin America and the Pacific. China’s Foreign Minister Wang Yi met his counterpart from Panama, Isabel de Saint Malo, in Beijing on Tuesday and signed a joint communiqué establishing ties. The Chinese auto market is having it’s own version of a “cash for clunkers” moment. After artificially pulling sales forward for all of 2016 with a purchase tax that was cut in half from 10% to 5%, the Chinese auto market is now suffering the consequences of removing that stimulus. As Reuters notes, Chinese auto sales have declined sharply so far in 2017 with April and May registering the first consecutive monthly declines since 2015. Chinese auto sales slipped in May from a year ago, registering two straight months of declines for the first time since 2015, with the automakers’ association saying the weakness may drag on as the rollback of a tax incentive continues to hurt. The world’s biggest auto market got a shot in the arm in 2016, growing at its fastest pace in three years, after Beijing halved the purchase tax on smaller-engined vehicles. But buyers have shied away since taxes climbed to 7.5 percent, from 5 percent, at the start of this year. Auto sales in China fell 0.1 percent in May from a year ago to 2.1 million vehicles, China Association of Automobile Manufacturers (CAAM) said on Monday. In April, sales recorded their steepest fall in 20 months. Of course, for those of old enough to remember 2009, the U.S. auto market had it’s own, albeit short-lived, experience with massive government subsidies for auto purchases. Unfortunately, sales crashed as soon as the stimulus was removed. Meanwhile, as China Association of Automobile Manufacturers spokesman Xu Haidong notes, the downturn in China is probably far from over given that auto purchases taxes will increase again in 2018 back to their original 10%. The current downturn in China’s auto market could extend through July or August, said Xu Haidong, a CAAM spokesman. China’s auto market recorded a 13.7 percent rise in sales last year, helped by the tax incentive. The purchase tax on vehicles with engines of 1.6 litres or below will rise to the normal 10 percent next year. Two weeks ago, in our latest comparison of Bitcoin and its up and coming competitor, Ethereum, we said “step aside bitcoin, there is a new blockchain kid in town.” Actually, we said that for the first time back in February when Ethereum was still trading in the low teens (the return on ETH since then is roughly 3000%), but the most recent glance provided some perspective on where the competition between the two largest cryptocurrencies may culminate, because according to at least two venture capitalists, the market cap of Ethereum – currently roughly $35 bilion – and whose share of the market has been soaring, will surpass that of Bitcoin, at ~$43 billion although it changes by the second, sometime before the end of 2018. Two things: first, at the current rate of gains in Ethereum market share (and loss in Bitcoin’s), the inflection point between the two will come not in months, or weeks, but perhaps days. Second, said inflection point may come in even faster if Vladimir Putin has anything to say about it, because as Bloomberg reports, “Ethereum has caught the attention of none other than the Russian president as a potential tool to help Russia diversify its economy beyond oil and gas.” Putin met Ethereum’s young founder Vitalik Buterin on the sidelines of the St. Petersburg Economic Forum last week and supported his plans to build contacts with local partners to implement blockchain technology in Russia, according to a statement on Kremlin’s website. Speaking at the Economic Forum, Putin said that “the digital economy isn’t a separate industry, it’s essentially the foundation for creating brand new business model” and discussed means to boost growth long-term after Russia ended its worst recession in two decades. As explained repeatedly over the past 6 months, besides being a method of exchange, Ethereum is also a ledger for everything from currency contracts to property rights, speeding up business by cutting out intermediaries such as public notaries. It also does not suffer from some of the size limitations that have paralyzed bitcoin in recent months. Furthermore, just like the western Enterprise Ethereum Alliance which consists of JPMorgan, Intel, Microsoft and other leading blue chips, Russia’s central bank has already deployed an Ethereum-based blockchain as a pilot project to process online payments and verify customer data with lenders including Sberbank PJSC, Deputy Governor Olga Skorobogatova said at the St. Petersburg event. She didn’t rule out using Ethereum technologies for the development of a national virtual currency for Russia down the road. Adoption of Ethereum in Russia has been brisk also in the private sector: last week, Bloomberg reports that Russia’s state development bank VEB agreed to start using Ethereum for some administrative functions. Steelmaker Severstal PJSC tested Ethereum’s blockchain for secure transfer of international credit letters. What about price targets? Pavel Matveev, co-founder of Wirex told CNBC today that Ethereum could reach $600 by the end of the year, leaving bitcoin in the dust. Until just a few short weeks ago, such a forecast would seem ludicrous. However, considering the recent surge in ethereum prices – recall it hit an all time high of $412 earlier today before sharply dropping then again erasing virtually all losses – it may reach that particular target in just a few weeks. Yesterday we reported that as the Qatar crisis continues with no resolution in sight, in an act of generosity toward its distressed Gulf neighbor, Iran dispatched four cargo planes of food to Qatar and plans to provide 100 tonnes of fruit and vegetable every day. Qatar has also been holding talks with Iran and Turkey to secure food and water supplies after Saudi Arabia, the United Arab Emirates, Egypt and Bahrain cut links, accusing Doha of supporting terrorism. However, any stopgap measures implemented so far are not nearly enough to compensate for all the food imports lost as a result of the gulf blockade. So, for the nation with the highest GDP/capita in the world, where money is largely not an object, an ingenious solution has emerged. Call it the biggest bovine airlift in history, as Bloomberg puts it. Because while the “showdown between Qatar and its neighbors has disrupted trade, split families and threatened to alter long-standing geopolitical alliances”, it has prompted one enterprising Qatari businessman to fly 4,000 cows to the Gulf desert in an act of resistance and opportunity to fill the void left by a collapse in the supply of fresh milk. “It’s a message of defiance, that we don’t need others,” said Umm Issa, 40, a government employee perusing the shelves of a supermarket before taking a carton of Turkish milk to try. Only you do, and those who provide the much needed milk will get even richer than they already are. For Al Khayaat, whose main business is a construction firm that built Qatar’s biggest mall, the cow-a-drop may be a slam dunk business decision. He has been expanding the company’s agricultural business at a farm 50 kilometers north of Doha. Food security is part of Qatar’s government strategy to steer the economy away from petrodollars, known, like in Saudi Arabia, as “Vision 2030.” And what better way to aggressively grow that business than at a time when it is your countrymen’s patriotic duty to buy your goods. Fresh milk production will start by the end of the month rather than September and will eventually cover a third of Qatar’s demand by mid-July, Al Khayyat told Bloomberg at his office in Doha. Facilities for the Holstein cows are ready, though the company will take a hit on the shipping cost for the animals, which increased more than five times to $8 million. Which amounts to $2,000 per cow. At that price, it was not immediately clear if the cows would fly business or first class. Qatar receives much of its shipment of dollars from the UAE and now that it blocked. QATAR is running out of dollars! While the Saudi-led campaign to starve Qatar’s citizens may end up short of the target, with both Turkey and Iran volunteering to provide needed staples to the isolated Gulf nation while local entrepreneurs have started a cow paradropping campaign to offset the decline in milk imports, a more pressing problem has emerged: Qatar’s financial system is running out of dollars. As Bloomberg reports, several Qatari banks have boosted interest rates on dollar deposits to shore up liquidity as the Saudi-led campaign to isolate the gas-rich Arab state intensifies. To boost their hard currency reserves, Qatar banks are now offering a premium of as much as 100 basis points over LIBOR to attract dollars from regional banks, some 80 bps higher compared to the rate they offered prior to last week’s crisis. A similar picture is visible on the 3-Month QIBOR, or Qatar Interbank Rate, which has surged to 2.3% as of Tuesday. According to the central bank, at the end of April, Qatar’s banks held 21.4% of their customer deposits in foreign currency. Non-resident deposits made up 24% of the overall deposits of 781 billion riyals ($213 billion). A separate estimate from SICO Bahrain, Qatari banks have around 60 billion riyals ($16.5 billion) in funding in the form of customer and interbank deposits from other Gulf states. Most of this could eventually be withdrawn if the crisis continues. Adding to concerns of a monetary blockade, Bloomberg also reports that some banks in neighboring countries have been cutting their exposure to Qatar amid concerns of a widening of the blockade. In a Tuesday report, Capital Economics’ Jason Tuvey wrote that while banks are unlikely “to be thrust into a crisis,” borrowing costs “look set to rise and banks are likely to become more cautious with their lending,” “If local banks struggle to rollover their external debts, they could be forced to shrink their balance sheets and tighten credit conditions.” For now the local central bank has said that Qatar’s banking system is functioning without disruption, although market indicators suggest liquidity stress is rising. Likewise, Qatar National Bank, the biggest lender in the Middle East, said it didn’t see any “significant” rate increases since the standoff began, according to statement emailed to Bloomberg on Tuesday. The good news for Qatar – the world’s wealthiest nation on a GDP/capita basis – is that it has enough financial firepower to withstand a prolonged financial siege, and defend its currency and economy, Finance Minister Ali Shareef Al Emadi told CNBC in an interview broadcast Monday. Al Emadi played down the impact of the crisis on the country, saying the plunge in Qatari assets last week was a “normal” reaction to the standoff. While so far there has been no suggestion that Qatar would commence liquidating its reserves, investors have already begun selling Qatari assets and speculating against the riyal, concerned how long Qatar can weather the crisis without having to devalue its currency or sell any of its global holdings. Qatar’s 12-month riyal forwards closed at 588 basis points against the dollar on Monday, the highest level since at least 2001, according to data compiled by Bloomberg. Rates eased slightly to about 500 basis points on Tuesday. Despite the spike in interbank rates, S&P is confident that Qatari banks are strong enough to survive the pullout of all Gulf money and then some. The ratings agency ran two hypothetical scenarios of capital flight, and concluded that Qatar’s lenders could survive the withdrawal of all Gulf deposits plus a quarter of the remaining foreign funds the banks keep. Still, that did not prevent S&P from lowering Qatar’s long-term rating by one level to AA- last week. Separately, Reuters reports, that the dollar shortage has also spread over to money exchange houses in Qatar on Sunday, making it harder for worried foreign workers to send money home. “We have no dollars because there is no shipment or transportation from the United Arab Emirates. There is no stock,” said a dealer at the Qatar-UAE Exchange House in Doha’s City Center mall.“The shipment is blocked from the UAE” the dealer added, although it was not quite clear if it was physical cash that was being transported. Other exchange houses in Doha also told Reuters they had no supplies of dollars. At Qatar-UAE Exchange, dozens of people – some of the foreigners who comprise nearly 90 percent of the population of 2.6 million – waited quietly in line to change money or make remittances to their home countries. For now most Western banks with a presence in Qatar have continued business as normal, partly because they did not want to lose out on billions of dollars of building projects which Qatar plans before it hosts the soccer World Cup in 2022. But other Western banks have halted new Qatar business including interbank and syndicated lending, while continuing to service existing business, banking sources said, declining to be named because of political sensitivities. “Everybody is shocked – they’re not worried about Qatar’s credit, they’re worried about compliance and the risk that the local sanctions could be escalated to an international level,” said one foreign banker in the region. In a worst case scenario, bankers expect Qatari banks to borrow from the central bank’s repo facility if they become short of funds. However, central bank rules limit the size of the repos to 2% of each bank’s private sector deposits. Bankers speculate the central bank may lift this cap although the central bank did not respond to Reuters requests for comment. Well, so much for OPEC’s production cut. In OPEC’s latest Monthly Oil Market Report, the oil producing cartel reported that in May – the same month OPEC met to extend its production cuts – crude output climbed the most in six month, since November 2016, rising by 336.1kb/d to 31.139 mmb/d, the highest monthly production of 2017, as members exempt from the original Vienna deal restored lost supply. Specifically, Libya pumped 730k b/d in May, up 178kb/d from 552kb/d in April; Nigeria output jumped to 1.68m b/d vs 1.506m b/d, a 174kb/d increase, while even the biggest producer Saudi Arabia, saw its output grow by 2.3kb/d to 9.94mb/d vs 9.938m b/d in April. Not surprisngly, in an attempt to preserve the “reduction” narrative, in its self-reported figures, Saudi Arabia told OPEC via direct communication that it produced 9.88mb/d in May, down 66.2kb/d from April’s 9.946mb/d, although these figures are looking increasingly suspect. Perpetuating its existence of forced self-delusion, OPEC predicted that surplus oil inventories would continue to decline in 2H 2017 as their cuts (what cuts) take effect and demand picks up. “The re-balancing of the market is underway” OPEC wrote, conceding that it is taking place “at a slower pace” and adding that “the decline seen in the overhang” in developed-nation stockpiles “is expected to continue in the second half, supported by production adjustments by OPEC and participating non-OPEC producers.” There was little discussion of the soaring US shale output, which as we wrote last night is expected to hit an all time high next month. The decline seen in the overhang in OECD commercial oil inventories in the first four months of the year – from 339 mb to 251 mb compared to the five-year average (Graph 2) – is expected to continue in the second half, supported by production adjustments by OPEC and participating non-OPEC producers. These trends along with the steady decline in oil in floating storage, indicate that the rebalancing of the market is underway, but at a slower pace, given the changes in fundamentals since December, especially the shift in US supply from an expected contraction to positive growth. In light of these developments, OPEC and the participating non-OPEC countries decided to extend production adjustments for a further period of nine months in recognition of the need for continuing cooperation among oil exporting countries in order to achieve a lasting stability in the oil market. Additionally, OPEC lowered forecasts for Russia production in 2H by 200k b/d, while the overall outlook for non-OPEC supply in 2H was reduced by 200k b/d, vs pledge of total reduction of ~558k b/d. The surplus in oil inventories in developed nations relative to their five-year average — OPEC’s main measure of the overhang — is down to 251m bbl from 339m at end-2016. The report kept 2017 global oil demand growth forecast unchanged from previous month’s estimate at 1.27m b/d y/y, while it cut full year non-OPEC supply growth estimate to 840k b/d y/y, a downward revision of 110k b/d. Which is, of course, wrong if Goldman’s forecast for shale production is even remotely accurate. Shale production will hit its all time high in July and then rise from there! While the June oil production data is still pending, it is safe to say that the June oil output from US shale producers – estimated today by the EIA at 5.348mb/d – will post the first double-digit production growth since July of 2015, when oil prices tumbled and a substantial portion of US production was briefly taken offline. Indicatively, while over the past year total U.S. production is up roughly 525kb/d, virtually all of it, or 98.5%, is the result of horizontal rig production in the Permian Basin, where output is up by 507kb/d. More important, however, is that according to the latest EIA Daily Prodctivity Report forecast released today, in July total shale basin output is expected to rise by 127kb/d in one month, hitting 5.475 mmb/d, and surpassing the previous record of 5.46 mmb/d reached in March 2015. Needless to say, this is bad news for OPEC, which continues to price itself out of the market by not only keeping prices high enough to make production profitable for US companies, but by allowing shale to capture an increasingly greater market share. Worse news is that shale is just getting started: both the Energy Information Administration, OPEC and the International Energy Agency have chronically underestimated the contribution of U.S. crude oil supplies in their forecasts. As Shale River notes, each has significantly increased their estimates for 2017 U.S. crude oil production during the year, with recent upward revisions larger than prior increases. In fact, the EIA recently conducted its 11th consecutive upward revision of its 2017 estimate. But the worst news – for OPEC yet again – is in the long-term, where if 5.5mmb/d is considered a record, just wait until shale hits more than double that amount, or over 12mmb/d, which Goldman expects will be achieved some time in the 2020s. The reason: shale breakeven costs are dropping on a monthly, if not weekly basis, and which over the next 4 years Goldman expects will plunge to prices where US production will become competitive with the lowest-cost OPEC producers: Saudi, Iran and Iraq. We believe the Big 3 shale plays (Permian Basin, Eagle Ford Shale and Bakken) combined with Cana Woodford plays (SCOOP/STACK) and the DJ Basin can together drive on average 0.8 mn bpd of annual production growth through 2020 and 0.7 mn bpd of annual production growth in 2021-25. We see production plateauing towards the end of the next decade at present. Importantly, as described below, we still see room for additional productivity gains; our estimates incorporate expectations for 3%-10% productivity gains per year through 2020. While rest of the world is finding ways to move breakevens down towards $50/bbl WTI, we still see shale as the dominant source of growth and as a critical source of short cycle production. Our global cost curve from our recent Top Projects report shows continued decline in shale breakevens, though at a smaller pace vs. in past years. Outside of shale, we increasingly see industry – majors, national oil companies (NOCs) and governments – working to accommodate new projects that break even at $50/bbl WTI or less with a goal of becoming more competitive with shale. This largely is occurring through a combination of improved tax/royalty terms by host governments, more limited scale by producers (smaller projects that come online more quickly) and cost reduction/efficiency gains. We still see production from new projects falling off towards the end of the decade as a result of the reduction in investment after oil prices collapsed post-2014. As such, we expect shale will continue to be a critical source of marginal supply because shale along with OPEC spare capacity are the principal sources of short-cycle supply. The bad news for OPEC is that it is trapped when it comes to oil prices: on the bottom by plunging state revenues and booming budget deficits, which spell out austerity, social instability and eventually revolution if prices are not boosted, and on the top by shale technological advances, which consistently reduce breakeven prices, and allow shale to stale market share from OPEC the longer prices are kept artificially high. The solution, short-term as it may be at least according to Goldman, is that oil prices “need to stay lower for longer.” That however is a non-starter with Saudi Arabia, which for obvious reasons, is rushing to IPO Aramco before math and physics finally declare victory over cartel-controlled supply, and oil prices crash. It remains to be seen if it is successful. For the first time since September 2014, after which oil prices collapsed almost 75%, Brent and WTI Crude futures both just flashed a ‘death cross’ signal as the 50-day moving-average crossed below the 200-day moving-average. The crossover is typically seen a loss of short-term momentum and last occurred in the second half of 2014, when prices collapsed due to oversupply amid surging U.S. shale oil production. As Bloomberg notes, OPEC and its partners will be hoping their efforts to curb output will be enough to support prices and counteract any fears of growing downside risk. However, this morning’s news of “real” OPEC production may raise more doubts about the cartel’s commitment (and going forward, the Qatar debacle won’t help). Early TUESDAY morning USA 10 year bond yield: 2.216% !!! UP 1 IN POINTS from MONDAY night in basis points and it is trading JUST BELOW resistance at 2.27-2.32%. The 30 yr bond yield 2.876, UP 0 IN BASIS POINTS from MONDAY night. USA dollar index early TUESDAY morning: 97.05 DOWN 9 CENT(S) from MONDAY’s close. The rout in U.S. technology shares over the past few days spurred the biggest outflows from the industry’s benchmark exchange-traded fund since the depths of the financial crisis in Nov 2007. Additionally, option traders also rushed to hedge against losses with 1.42 million put contracts changing hands — the busiest session since September 2008. This is not good news for the state of Illinois as unpaid bills continue to mount. Without a shadow of a doubt they will be downgraded in July to junk which will cause a massive increase of payments by the state to cover default provisions with respect to bond covenants with the bond purchases by individuals and corporations on prior deals. The deals stipulated extra payments if the state is downgraded to junk. On June 1, first S&P the Moody’s almost concurrently downgraded Illinois to the lowest non-Junk rating, BB+/Baa3 respectively, with both rating agencies warning that the ongoing legislative gridlock and budget crisis need to be resolved, or else Illinois will be the first ever US state downgraded to junk status. S&P analyst Gabriel Petek explicitly warned that “the unrelenting political brinkmanship now poses a threat to the timely payment of the state’s core priority payments“ and warned about Illinois’ inability to pass a budget for the past two years amid a clash between the Democrat-run legislature and Republican Governor Bruce Rauner. As we have documented previously, the ongoing confrontation has left the fifth most-populous US state with a record $14.5 billion of unpaid bills, ravaged entities like universities and social service providers that rely on state aid and undermined Illinois’s standing in the bond market, where investors have demanded higher premiums for the risk of owning its debt. Bypassing its traditional 90-day review, a terse S&P also warned that Illinois will likely be downgraded around July 1, when the new fiscal year begins if leaders haven’t agreed on a budget that starts addressing the state’s chronic deficits. Unfortunately for Illinois, and its bondholders, the downgrade – and the subsequent imminent “junking” – was just the tip of the iceberg. As Bank of America wrote in its latest muni market report, among the $14.7bn backlog of bills (as of 5 June) to be paid by the state of Illinois due to the protracted budget impasse is some $2bn-plus in Medicaid-related payments owed to the private insurers the state contracted with to manage roughly two-thirds of its Medicaid recipients. Those payments amount to some $300mn per month. A number of private insurers have sued in U.S. District Court for the Northern District of Illinois to prioritize their payments over those due to other vendors. So for anyone confused, here is a summary of what happened: a judge ruled last Wednesday the state is violating consent decrees and previous orders, and instructed the state to achieve “substantial compliance with consent decrees in these case.” The order may prioritize those payments, elevating them to the level of “core payments,” such as for debt service. The state has warned that could trigger an immediate downgrade from Moody’s. The state asked the court that the order become effective on 1 July as it could pressure the state to end its protracted budget impasse. Separately, there was a glimmer of hope for the woefully underfunded state: according to the Illinois Commission on Government Forecasting and Accountability’s (CGFA) May Monthly briefing, May net revenues of $2.19bn were up $144mn, or 7.0% compared to the same month a year ago. Personal income tax collections performed well during the month, bringing in $1.17bn, $179mn, or 18.1% more than in April 2016. Sales tax collections also performed well, outperforming April 2016’s collections by $36mn, or 5.5%. However, the state’s other significant revenue stream – the corporate income tax – underperformed, with collections of $81mn coming in $72mn, or 47.1% less than a year ago. And while April marks the third consecutive month of Y/Y outperformance, a glimmer of sunshine in an otherwise dready Illinois monetary landscape, the recent burst in receipts is likely a fluke especially since fiscal year-to-date collections of $26.54bn are $955mn, or 4.3% behind last year. The culprit: local businesses, as corporate income tax collections have been the main cause under-performance, falling $909mn, or 41.3% on a year-over-year basis. What happened next? As Bank of America writes, with bondholders still digesting the recent downgrades and the inevitable downgrade to junk, news of the adverse court ruling caused spreads on Illinois’ GOs to blow out. As of last Thursday, the month-to-date spreads on Illinois widened by 69bps, surging just shy of 250 bps as the market absorbed the headlines. Then according to Bloomberg, the OAS on Illinois 5% GO due Mah 2015, soared nearly 40 bps since last Thursday. The chart below shows how the spreads have moved wider each day since the month began. On Thursday the spread widened out by 28bps, compared to average 8.2bps it moved the previous five days. Since then the move has accelerated. Eleni Demertzis, the governor’s spokeswoman, said the rating levels that would trigger the termination of four swaps – two with Barclays Bank, and one each with Bank of America and JP Morgan – were dropped a notch to the second level of junk – BB with S&P or Ba2 with Moody’s. Without this step, downgrades to the first level of junk by S&P or Moody’s Investors Service could have forced the cash-strapped state to pay the banks as much as $39 million in fees to end the swaps, according to the Illinois Comptroller’s office. In short, while Illinois won’t be punished with higher swap termination costs when the downgrade to junk hits, all other negative side effects of being the first “fallen angel” state in history will remain, chief among them far higher borrowing costs. And while the recent blow out in spreads has been nothing short of stunning for the otherwise sleepy muni market, a far bigger problem awaits both Illinois, which faces substantially higher borrowing costs, and bondholders, whose principal losses are starting to hurt, if the state fails to pass a budget for the third consecutive year and is downgraded to junk. A default is also not out of the question. Traditionally, sharp moves in the bond market – such as thise one – have been sufficient to prompt politicians to reach a compromise, although in a world in which central banks have always stepped in to make things better, we fail to see how or why the Illinois auto pilot, which is currently set on collision course with insolvency, will change direction any time soon. Since The Fed began its ‘tightening cycle’ in December 2015, the Treasury yield curve (2s10s) has flattened dramatically, tumbling back today towards cycle lows (and well below Trump-election-hope lows). What is perhaps more worrisome is the historical trend strongly suggests this trend is far from over and an inverted yield curve looms. The trend is clear that Fed policy is running counter to growth expectations and all the hope that Trump offered has been erased completely. US treasury markets, unsurprisingly, show a very clear trend towards higher front end-yields. On average longer end yields also ratchet higher, but by much less than at the short end, and with a lot more variability in the cycles. 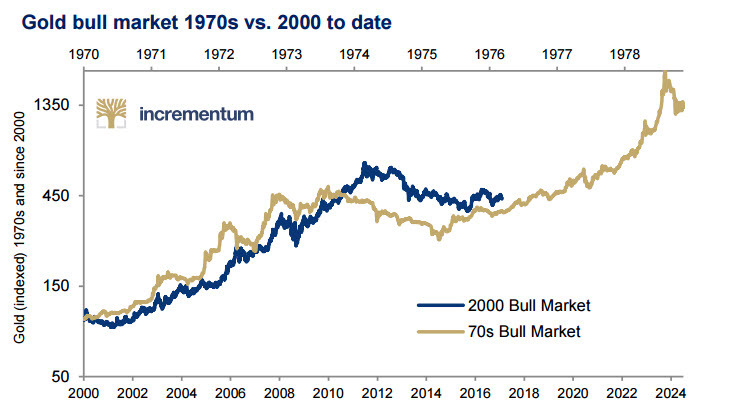 There is a clear trend towards curve flattening in other words. 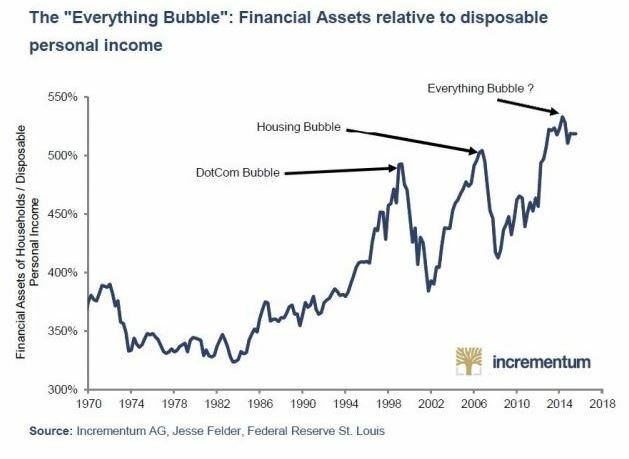 Whilst this cycle is of course different in many ways (QE and bond scarcity, Fed balance sheet run down to start soon, etc. ), we are still approximately in line with historic averages at the front end. At the long end, we are perhaps following the 2004 cycle a bit more, where 10y yields traded a range as the Fed hiked 17 times! Diversification into US govies by foreigners (Asia) played a big role back then, and this time round UST attractiveness to, especially yield starved, investors stands out. Low-flation is another reason why the longer end may display less beta as the Fed hikes this time. With the historic analysis showing that 2s10s should flatten by at least a further 100 bp, we remain in curve flatteners in our macro portfolio alongside our tactical long in 10y USTs. Here, the recent breach of supports at 2.2% suggest we could move to 2.0% and we hold. For the first time in 3 years, Core Producer Prices have risen at a faster pace than The Fed’s mandated 2% target. May PPI (ex food and energy) rose 2.1% year-over-year, the highest since May 2014, as goods prices tumbled (gasoline, motor vehicles, fresh fruit) while services costs (retailer and wholesaler prices, and residential lending) jumped. Final demand goods: Prices for final demand goods moved down 0.5 percent in May, the largest decrease since a 0.6-percent drop in February 2016. Most of the May decline can be attributed to the index for final demand energy, which fell 3.0 percent. Prices for final demand foods decreased 0.2 percent. In contrast, the index for final demand goods less foods and energy edged up 0.1 percent. Product detail: The May decrease in the index for final demand goods was led by an 11.2-percent drop in gasoline prices. The indexes for fresh and dry vegetables, jet fuel, fresh fruits and melons, motor vehicles, and home heating oil also fell. Conversely, the index for pharmaceutical preparations rose 0.6 percent. Prices for beef and veal and for electric power also increased. Final demand services: Prices for final demand services rose 0.3 percent in May following a 0.4-percent advance in April. The May increase can be attributed to the index for final demand trade services, which moved up 1.1 percent. (Trade indexes measure changes in margins received by wholesalers and retailers.) In contrast, prices for final demand services less trade, transportation, and warehousing fell 0.1 percent, and the index for final demand transportation and warehousing services declined 0.5 percent. Product detail: About half of the May increase in the index for final demand services can be traced to margins for fuels and lubricants retailing, which rose 16.1 percent. The indexes for apparel, footwear, and accessories retailing; machinery and equipment wholesaling; residential real estate loans (partial); automobiles and automobile parts retailing; and food wholesaling also moved higher. Conversely, prices for guestroom rental decreased 5.2 percent. The indexes for airline passenger services and food retailing also moved lower. Is this the well-timed excuse for a rate-hike tomorrow, despite collapsing macro data since the last Fed rate hike? Mnuchin added that the Treasury has “backup plans” that would allow it to fund the government should Congress fail to raised the borrowing limit, though he declined to elaborate on exactly what those plans might be. Mnuchin also expressed his preference for doing a “clean” hike that would not pair the debt bill with spending cuts or other budgetary reforms, as many Republicans would prefer. We itemize this torrent of red ink not merely to lament the nation’s dire fiscal plight, but to document a practical point. It will be impossible to pay Uncle Sam’s bills in full after Labor Day unless the debt ceiling is raised well above the $20 trillion mark. Exactly 36 years ago, Washington stood on another symbolic threshold — that is, raising the debt ceiling over the $1 trillion mark for the first time. Back in October 1981, however, the Gipper was in the Oval Office at the peak of his popularity. He got the debt ceiling over the symbolic barrier at that time because he could still credibly promise that the budget would be balanced within three years. That was after his already enacted tax cuts became fully effective and the already enacted spending reductions took hold. The nation’s balance sheet then was relatively pristine compared to what it is at present. Even at $1 trillion, the public debt amounted to just 30%of GDP — a far cry from the 106% ratio presently. Before Capitol Hill gets bogged down in a sweaty August slog desperately looking for votes to raise the debt ceiling by several trillion dollars, it will have mid-year budget updates. They won’t be encouraging. As my colleague Lee Adler has pointed out, Treasury tax collections have slowed to a crawl. Overall collections are barely even with prior year, and even withholding payments are now coming in at barely 2% on a year/year basis. That is far below the built-in spending growth rate of about 4% — and says nothing to the big increases for defense, law enforcement, border control and infrastructure being sought be the Trump White House. The four week moving average of withholding collections — about as accurate a real time measure of the US economy as exists — is running below the average wage rate gain of about 2.6% per annum. That means real wage growth is turning negative — not accelerating like the “escape velocity” narrative being peddled by Wall Street. 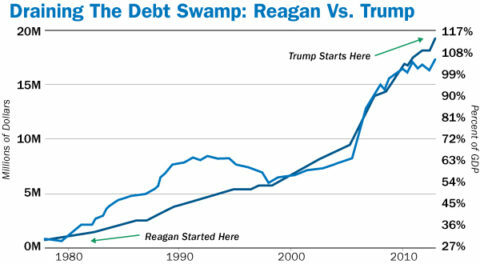 The Donald’s odds of leading Washington over the $20 trillion threshold are not even a tiny fraction of the Gipper’s at the time of the $1 trillionbarrier. The latter’s job approval rate was over 60%, whereas the Donald’s will soon dip into the low 30s as the RussiaGate prosecution gathers full force. No more. There is $10 trillion of new deficits built-in over the next decade — even with the Congressional Budget Office’s (CBO) rosy scenario economic forecast, and the deficit path widens, rather than narrows, over the ten year period. By 2027, in fact, the CBO baseline deficit is back above 5% of GDP. The long and short of it is straightforward. The Democrats are not about to bail-out the Donald when they believe they have him on the ropes. At the same time, there is no GOP majority for any meaningful deficit reduction plan that could be attached to a debt ceiling increase bill as a legislative quid pro quo. When the Senate GOP committee now working on an alternative health care bill reaches a consensus — if it ever does — there will be virtually no Medicaid cuts left. The so-called moderates have insisted that the Obamacare expansion must stay in place at least for the next five years or no dice. At the same time, the Donald has boxed himself in with his reckless promise to ring-fence Medicare and Social Security. But when you set those two giant entitlements aside, along with Medicaid, you have taken $2 trillion per year off the table; and that quickly mushrooms to nearly $2.5 trillion per year when you add in $200 billion for Veterans, the earned income tax credit and retirement checks for former military and civilian employees of the Federal government. Yes, the Congressional GOP could perhaps agree to a 10% cut ($7 billion) in the $70 billion food stamp program and a few billion more from some of the lesser low-income entitlements. But self-evidently that’s a rounding error in the scheme of things. So when foreseen is not a tale of a Trump Fiscal Stimulus, but a Fiscal Bloodbath, take it to mean just that. And unlike the saves which were put together at the 11th hour in August 2011 and October 2015 by President Obama and Speaker Boehner, this time there will be absolute legislative paralysis. It seems abundantly clear that Speaker Ryan is not ready to quit, and the Freedom Caucus has no intention of voting for a so-called “clean” debt ceiling increase. Instead, Washington is heading for the unthinkable. That is, the need for the US Treasury to prioritize and allocate spending based on the available inflow of revenues. That will come as a giant shock to those on Wall Street who fail to understand that Washington is in the midst of triggering the 25th amendment, and that the system will soon be ungovernable. The prospect of allocation will also mean that debt service, social security checks, military expenditures, law enforcement, Federal payrolls and other high priority payments can be met from current receipts for an extended period of time, thereby prolonging the stalemate even further. So the Wall Street casino may well shrug off the Comey hearing on the grounds that he did not deliver a red hot smoking gun after all. But that will prove to be just one more chance to get out of harm’s way. What comes next is a debt ceiling Fiscal Bloodbath that will remove all doubt. Nearly four months after Donald Trump signed an executive order calling for a review of Wall Street regulations, the administration has laid out part one of its plans for reforming the system in a detailed report released by the Treasury Department late Monday. Some of the more notable proposals in the highly-anticipated report – the first in a series that will detail the administration’s thinking on how it plans to proceed with paring back post-crisis regulations in the financial services industry – include: adjusting the annual stress tests, easing trading rules (i.e., gutting the Volcker Rule), and paring back the power of the watchdogs – like the Consumer Financial Protection Bureau. In a statement released along with the report, Treasury Secretary Steven Mnuchin said that while the administration backs congressional efforts to roll back Dodd-Frank, the report focuses on actions that can be taken without involving Congress. In fact, between 70 and 80% of its recommended reforms can be made unilaterally through federal agencies’ independent rulemaking authorities. As expected, Democrats were quick to criticize the plan with Ohio Senator Sherrod Brown, the ranking member of the Senate Banking Committee, claiming that the reforms would gut the Consumer Financial Protection Bureau, the centerpiece of Dodd-Frank. The report is extremely critical of the fledgling agency, accusing it of being “unaccountable” and possessing “unduly broad regulatory powers.” To rein in the bureau, the Treasury report calls for the president to be able to fire its director for any reason, not just for cause as is now the case, as Bloomberg noted. Meanwhile, representatives of the banking industry expressed their support for the report’s findings. As Bloomberg adds, some of the most unpopular regulations that the report asks to re-do, such as the Volcker Rule ban on banks’ proprietary trading, were put together by five different agencies. It was not immediately clear which bank was supervising them. In any case, just because the administration has found a way to bypass Congress doesn’t necessarily mean that the reforms will be swiftly implemented. Some of the report’s most ambitious recommendations – such as reforming the Volcker Rule ban on proprietary trading – will require the cooperation of numerous separate federal agencies, as Bloomberg noted. On the Volcker Rule, Treasury outlined several ways that regulators and Congress should consider weakening it, Bloomberg reported. Banks with less than $10 billion in assets should be exempted altogether, the report argued. It also said all lenders should have more leeway to trade and that restrictions on banks’ investing in private-equity and hedge funds should be loosened. In other words, a return to the way Wall Street was before the financial crisis. The US Treasury released its report on the US financial system, titled A Financial System That Creates Economic Opportunities, which proposes sweeping changes to the US regulatory framework with the aim of achieving regulation consistent with the ‘Core Principles’ in President Trump’s Executive Order 13772. We note that proposals in the report do not represent policy actions and are preliminary in nature, particularly given the US Treasury is not an agency tasked with rulemaking. As we highlighted in our report of March 7, 2017, The regulatory reform agenda: Bank regulation through a growth lens, there are different thresholds for changing: 1) regulatory interpretations; 2) regulations as implemented by the regulatory agencies (e.g., the Fed, and the FDIC); and 3) Congressional legislation. Changes in the Treasury’s report would span all three. The report is far reaching and discusses in detail a number of changes throughout the US regulatory regime. Below, we summarize key takeaways across areas where we think the proposed changes will be most impactful. The report suggests a wide variety of changes to the CCAR process, adjusting both the timing of the process and the asset thresholds, as well as eliminating the qualitative overlay. In our view, changes to the CCAR process would represent interpretation changes that have the lowest threshold for implementation. Adjust the minimum asset threshold for inclusion in the Dodd Frank Act Stress Test (D-FAST) from $10bn to $50bn and eliminate the qualitative CCAR process. For banks above $50bn in assets, the report suggests including a more risk sensitive test for determining whether a bank should be included based on the complexity of its business model. This suggests that banks near the $50bn threshold, such as DFS, CMA and ZION, might benefit most from this revised test. The Comprehensive Capital Analysis and Review (CCAR) process should be biennial, rather than yearly. To improve the functioning of capital markets, the Treasury recommends making substantive changes to the calculation of the SLR, through the exclusion of cash and cash equivalents from the denominator of the calculation. The proposal goes further than we had anticipated as it recommends excluding not only cash with central banks but also US Treasury securities, and initial margin for centrally cleared derivatives. While we expect that these changes will only lead to a greater level of excess capital for one of our banks, MS – we expect it to add $2.5bn to its excess capital (3% of market cap) we believe that if this change were implemented, banks could start to make some structural changes to their balance sheets in order to reduce Tier 1 leverage ratios as well, which could free up some excess capital (Exhibits 2 & 3). The report states that the Volcker Rule has “far overshot the mark” (p. 71) and has given rise to an “extraordinarily complex and burdensome” compliance regime. In our view, the proposed changes would have a far reaching impact on the structure and enforcement of the rule. However, we note that it is not clear how many of the proposed changes would require either an amendment to Dodd-Frank or an NPR or both. The Treasury recommends that the amended Volcker rule should provide increased flexibility for market making. Including, giving banks more flexibility on managing inventory. The proposed changes also call for a simplification for the enforcement and compliance regime. Give banks flexibility to adjust their inventory levels. Agencies should ensure that interpretive guidance and enforcement is consistent and coordinated. Banks with <$10bn total assets should be exempt; banks with >$10bn in assets but <$1bn in trading assets and trading liabilities and whose trading assets and liabilities represent 10% or less of total assets should be exempt. Consider adjusting the calibration of the SLR for small business loans. In addition, the Treasury also recommends revisiting calibration of capital and liquidity rules as well as the role of the CFPB. To ensure competitiveness with global regulatory standards, revisit calibration of a variety of capital and liquidity rules, including: the US G-SIB surcharge; the Federal Reserve’s Total Loss Absorbing Capacity (TLAC); The Federal Reserve’s minimum debt rule; and Calibration of the enhanced SLR (eSLR), which applies to US G-SIBs. Living will should be moved to a two-year standard. US Liquidity Coverage Ratio (LCR) should only be applied to US G-SIBs, and a less stringent standard should be applied to other internationally active BHCs. Curtailing the powers of the Consumer Financial Protection Bureau. Make the director of the CFPB removable at will by the President. Fund the CFPB through the annual congressional appropriations process to enable Congress to exercise greater oversight and control over how taxpayer dollars are spent. As The Hill notes, several of Mueller’s early, notable hires have all been contributors to Hillary’s and/or Obama’s previous campaigns. Michael Dreeben, who serves as the Justice Department’s deputy solicitor general, is working on a part-time basis for Mueller, The Washington Post reported Friday. Dreeben donated $1,000 dollars to Hillary Clinton’s Senate political action committee (PAC), Friends of Hillary, while she ran for public office in New York. Dreeben did so while he served as the deputy solicitor general at the Justice Department. Jeannie Rhee, another member of Mueller’s team, donated $5,400 to Hillary Clinton’s presidential campaign PAC Hillary for America. Andrew Weissmann, who serves in a top post within the Justice Department’s fraud practice, is the most senior lawyer on the special counsel team, Bloomberg reported. He served as the FBI’s general counsel and the assistant director to Mueller when the special counsel was FBI director. Before he worked at the FBI or Justice Department, Weissman worked at the law firm Jenner & Block LLP, during which he donated six times to political action committees for Obama in 2008 for a total of $4,700. James Quarles, who served as an assistant special prosecutor on the Watergate Special Prosecution Force, has donated to over a dozen Democratic PACs since the late 1980s. He was also identified by the Washington Post as a member of Mueller’s team. Starting in 1987, Quarles donated to Democratic candidate Michael Dukakis’s presidential PAC, Dukakis for President. Since then, he has also contributed in 1999 to Sen. Al Gore’s run for the presidency, then-Sen. John Kerry’s (D-Mass.) presidential bid in 2005, Obama’s presidential PAC in 2008 and 2012, and Clinton’s presidential pac Hillary for America in 2016. Of course, as a former surrogate of the Trump campaign, Gingrich’s opinions on the topic of Mueller’s independence will undoubtedly be quickly dismissed by the left and most of the media. So what say you, does Gingrich raise valid concerns in light of Comey’s testimony or is he just a conflicted surrogate attempting to mount a Trump offensive? Confirming earlier concerns over performance, Citigroup CFO John Gerspach warned investors at a Morgan Stanley Conference this morning that Citi’s second quarter trading revenues would be down 12-13%. Bloomberg reports Subprime Auto Bonds From 2015 May End Up Worst Ever, Fitch Says. I suggest 2017 will be worse, but let’s tune into Fitch first. Subprime auto bonds issued in 2015 are by one key measure on track to become the worst performing in the history of car-loan securitizations, according to Fitch Ratings. This group of securities is experiencing cumulative net losses at a rate projected to reach 15 percent, which is higher even than for bonds in the 2007, Fitch analysts Hylton Heard and John Bella Jr. wrote in a report Thursday. “The 2015 vintage has been prone to high loss severity from a weaker wholesale market and little-to-no equity in loan contracts at default due to extended-term lending, a trend which was not as apparent in the recessionary vintages,” said the analysts, referring to lenders’ stretching out repayment terms on subprime loans, sometimes to over six years, to lower borrowers’ monthly payment. That becomes riskier in the tail end of the loan, after the car has mostly depreciated and borrowers may be left owing large balances. Credit-rating companies that assess the auto debt packaged into bonds have raised concerns in recent months about rising delinquencies and defaults. 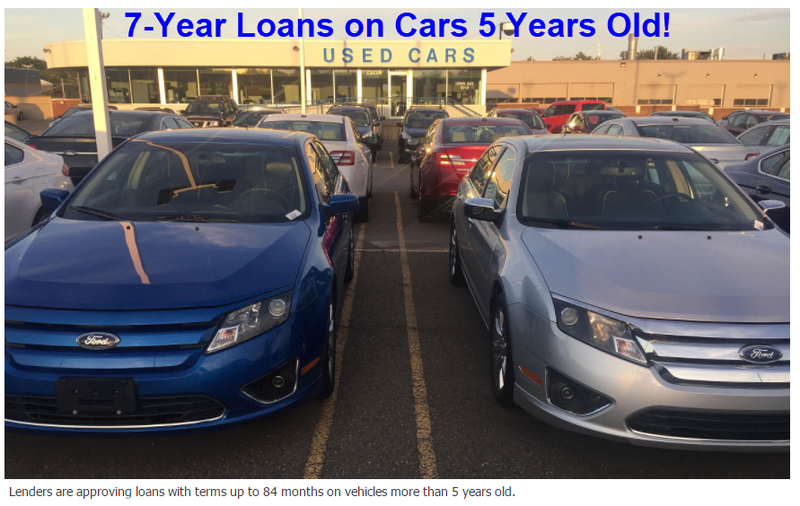 They note that additional pressures in the used-car market have weighed on lenders’ ability to recoup funds from borrowers who have their cars repossessed. S&P Global Ratings, which rates a larger percentage of the markets than Fitch and Moody’s, has blamed the rising net loss rates on weaker recoveries. S&P noted this month that net losses on prime deals have reached a pace not seen since 2008. 2017 will be even worse. This Automotive News story provides an easy to understand explanation: New-Car Loans Lasting 73 to 84 Months Soar. In the first quarter of 2009, 11.7 percent of new-vehicle loans were 73 to 84 months, Karl Kruppa, senior automotive solutions consultant for Experian, said at CU Direct’s Drive ’17 conference here last week. Through February 2017, 33.8 percent of loans were 73 to 84 months. Even within that bucket, term lengths are creeping up. In the fourth quarter of 2010, three-quarters of new-vehicle loans in the 73- to 84-month category were between 73 and 75 months, Kruppa said. “Now we are seeing more and more lenders willing to go all the way up to 84 months,” he said. In the fourth quarter of 2010, 17.1 percent of new-vehicle loans were 84 months. In the fourth quarter of 2016, 28.7 percent of new-vehicle loans were 84 months. With default rising risk, lenders will hike loan rates, reducing new car affordability despite increased incentives. Self-driving vehicles are right around the corner. Demand for cars without those features will plunge. Other than those items (and anything else I may have missed) the auto industry is doing quite fine, thank you.